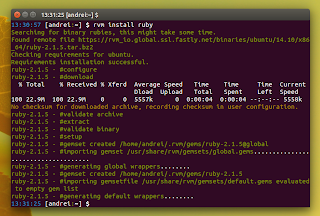 Ruby Version (enVironment) Manager (or simply RVM) is a tool that manages Ruby application environments and enables switching between them. RVM has not been packaged for recent Ubuntu versions (it's only available for Ubuntu 12.04, but it's a very old RVM version) and to install or update it, you must run a script. To make things easier, WebUpd8 reader Rael G.C. 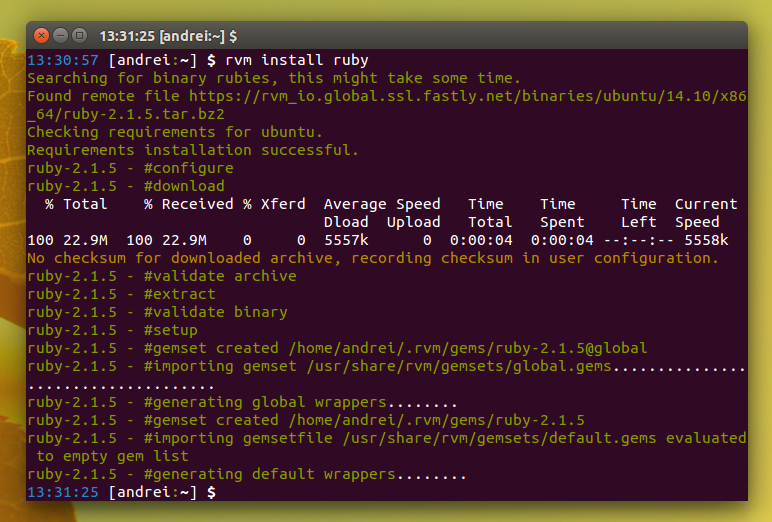 has packaged RVM for Ubuntu and uploaded it to a PPA, for easy installation and of course, automatic updates. Rael's packaging is available on GitHub so if you want to report bugs, make suggestions and so on, see THIS page. 2. In order to always load RVM, you need to set GNOME Terminal (or whatever terminal emulator you use) to run Bash as login shell. To do this for GNOME Terminal, from its menu select Edit > Profile Preferences and on the Title and Command tab, enable "Run command as login shell". 3. Restart your session (logout and login). For how to use RVM, see its GitHub page or run "man rvm". Thanks to Rael for the tip and info!